We love to support local authors who value the place an indie bookshop has in the community. Thank you for considering Aaron’s Books for placement of your book. 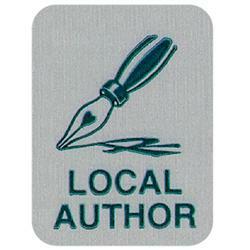 For us to consider a local self-published or micro-pub book, we need to review a copy or a sample. (For books available through a traditional publisher, we will work through the publisher’s sales representatives.) Please drop off or mail us a review copy, along with a signed copy of the attached form below. Technology has made publishing easier and the number of books we are asked to review continues to rise dramatically. No bookstore can carry every published title, whether from a major publisher's list or directly from a local author. We decline to stock many books, including those by well-known and award-winning writers, if they are not a good match for our store. We do not carry books published via CreateSpace. We no longer carry books on consignment. We purchase up to five copies and may re-order if it proves popular. We try not to directly compete with other stores in town, so we do not carry books sold elsewhere in downtown Lititz. When making our decision, both the look and the subject matter are important. Does the book look professionally published? Is it edited for best content and grammar? Are the illustrations and layout professionally produced? Is it a subject we believe shoppers at Aaron’s are interested in? What about an author signing at the store? A local author signing is arranged solely at the store’s discretion. It is based largely on popularity of the book in the store. If an event is scheduled, the author is responsible for promoting and marketing the event. Only books purchased at Aaron’s Books may be signed in our shop. It’s easier to schedule an event if we learn about the book well ahead of its publication date. How should the author promote sales? Every author needs to link to Aaron’s Books as a sales location and promote the location. The author should direct local friends and family to the bookstore and not encourage online purchases or distribute copies yourself. A book that sells well at Aaron’s will receive better store placement and arrangement of author events. Thanks for your interest in Aaron’s Books, and good luck with your book.